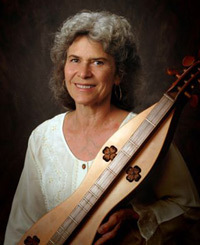 Anne Lough is a nationally known traditional musician with over thirty-five years experience in performance and teaching. A native of Springfield, Virginia, Anne has been around music all her life and began playing and singing folk music as a young teen. She has continued to share her love of music through the years while raising four daughters and completing a Music Education Degree from Murray State University, Murray, Kentucky, and a Master of Music Education Degree from Western Carolina University, Cullowhee, NC. She now devotes all her time to festivals, workshops, performances and school residencies. 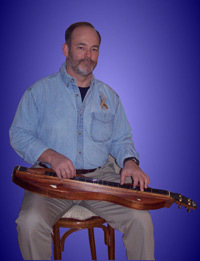 Joe Collins fell in love with the mountain dulcimer back in 1978. At the time he was doing occasional coffeehouses as a college student in eastern North Carolina, and a good friend thought that he might be interested in tackling another instrument besides the guitar. He took her little instrument home, and she did not get it back for three years!